This is a simple version of Vegetable pizza,you can try at home. I have made it as thin crest with a bit of Arabian Flavor .An interesting Arabian version of Pizza is available in the Pizza-Hut here in Middle east,an amazing twist to the traditional Italian Pizza. 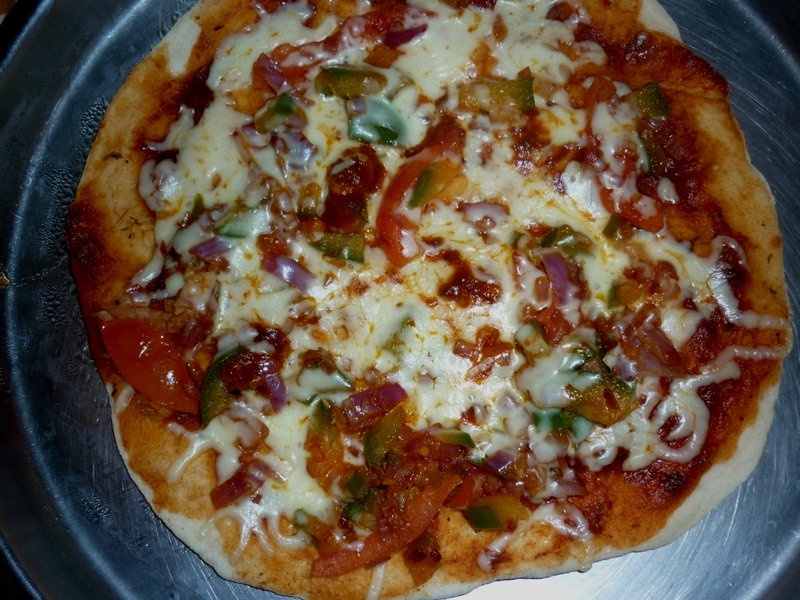 Most of my recipes are my experiments with a basic recipe which we try from restaurants. Add 2 tbsp warm water to the yeast and 2 tsp sugar.Keep aside for 5 minutes. 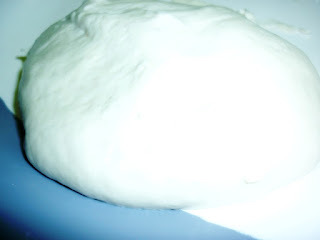 Make a smooth dough with flour,yeast and salt by adding water carefully. Now after 30 minutes beat the dough with the back of your hand .Make big balls out of this and keep aside for 10 more minutes.Now these balls will become double in size. Now we can start preparing the Topping. Flatten one of the dough balls into thin/thick crest.Dust the surface with some flour before you do this. 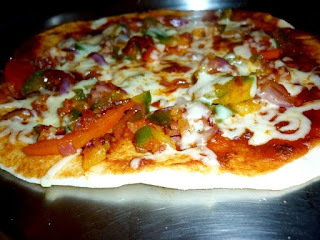 Now heat a pan and cook the bottom side of the Pizza base for 2 minutes.Now its very easy to cook in the oven and also to handle the Pizza .This is a must step since we are not using Pizza stone(baking stone) to bake Pizzas. Now,apply some Pizza sauce first.Then the Mozzarella. Next the chopped veggies.Sprinkle Paprika,salt and Sumac(optional:Sumac is an Arabian spice ) on to these veggies. 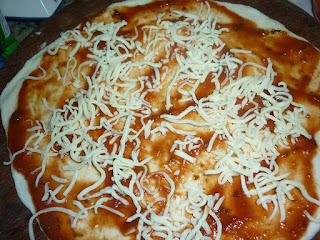 Now pizza is ready to go to the oven. Bake for 10 minutes (at max Oven temperature) until the color of the cheese is light brown. Very delicious,me yet to try pizza at home..
Love this recipe! I also use olive oil to cover the crust just before putting the stuffing. The edges will be so crunchy! Pizza looks delicious. would be great for a weekend informal party. Thanx for sharing.